hEX S is a six port wired Gigabit router for locations where wireless connectivity is not required. 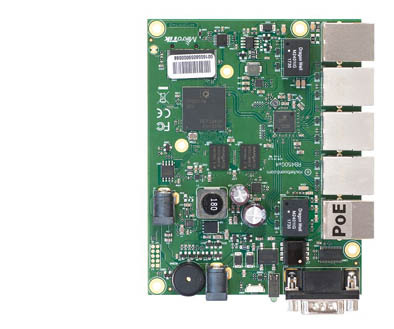 Compared to the hEX, the hEX S features an SFP port and PoE output on the last port. IPsec hardware encryption (~470 Mbps) and The Dude server package are both supported, and the microSD slot provides improved read/write speed for file storage. The RB450Gx4 is an Ethernet router with five Gigabit Ethernet ports, a serial port, 512 MB NAND memory and a microSD card slot. In addition, it supports full 10 V - 57 V input by two power jacks or PoE (802.3af/at or passive PoE) and can provide PoE output for Ethernet port #5. 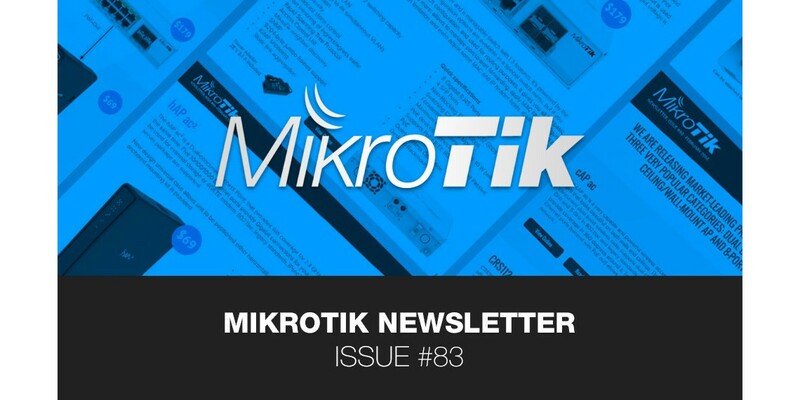 It is powered by MikroTik RouterOS. It comes without an enclosure, you are free to use it in your own. The device form factor is identical to our previous RB850 and RB450 series, so you can even use the same enclosures. The enclosure includes slots for directly attaching a hose clamp mount in three different mounting places, with ability to be mounted on horizontal railings. The device includes one 10/100 Mbit Ethernet port. There is also an easily accessible grounding connection to protect it against lightning.